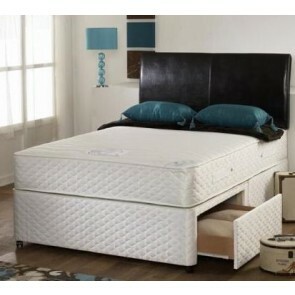 A zip and link be is a bed that can either be set up as one luxurious double or separated into two single beds. They offer a very flexible sleeping solution and for this reason are particularly popular in hotels and guest houses. They fit together very easily and can be taken apart to form an entirely different sleeping arrangement in a matter of minutes. The base of a zip and link bed is joined at both the head and the foot by linking bars. The mattresses are joined together using zips. Aside from offering flexible accommodation in hotels they are also useful in private houses and accommodation where stairwell access to the bedrooms is limited. Being in two parts allows a super king zip and link bed to be carried up even the narrowest flights of stairs. There is as much choice when it comes to zip and link beds as there are with traditional styles too. The bases are available as both sprung bed bases or platform top bases and a wealth of storage options are available with them too. 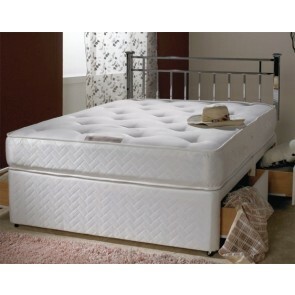 The mattresses themselves can be coil sprung, pocket sprung or memory foam. 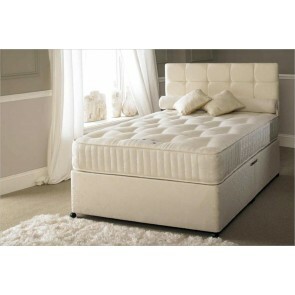 In terms of style our zip and link beds at Divan Bed Centre could not offer you more. All of our bases and headboards come in a choice of materials so you can create the perfect centrepiece for your room. Choose between damask, suede and leather for an elegant and stylish feel. 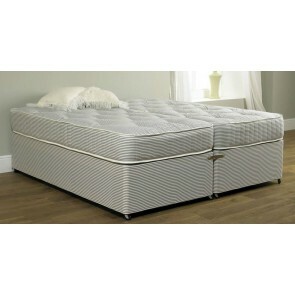 Zip and Link Beds are available in following two sizes. There are a few considerations to make when purchasing a zip and link bed. Firstly it is important that the bed is accompanied by two single headboards that look as one when joined together. This will ensure the beds look like singles when separated and appear as one luxurious double when joined. 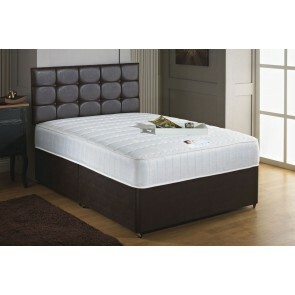 Additionally a king size zip and link bed when separated can be slightly small for the average person. If space allows it is always better to go for a super king size option if you plan on using it regularly as two single beds. 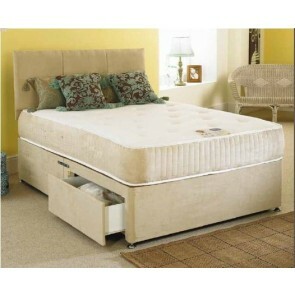 A zip and link bed is an extremely sturdy and robust piece of furniture unlikely to come apart accidentally. 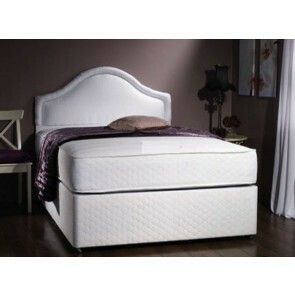 It is also impossible to feel the zips that join the two mattresses so they offer the highest possible comfort. If you run a guest house or are worried about how to get a large double bed through to your bedroom then a zip and link bed may be the ideal solution. A Zip and Link Bed increases the flexibility of the sleeping arrangements, offering the benefits to easily split apart the king size or super king size divan bed into two single beds. With Zip and link beds, each divan is linked at the head and foot by linking bars, and mattresses are held together by zips. They are suitable for Guest Houses, B & B, Hotels and Home accommodation.